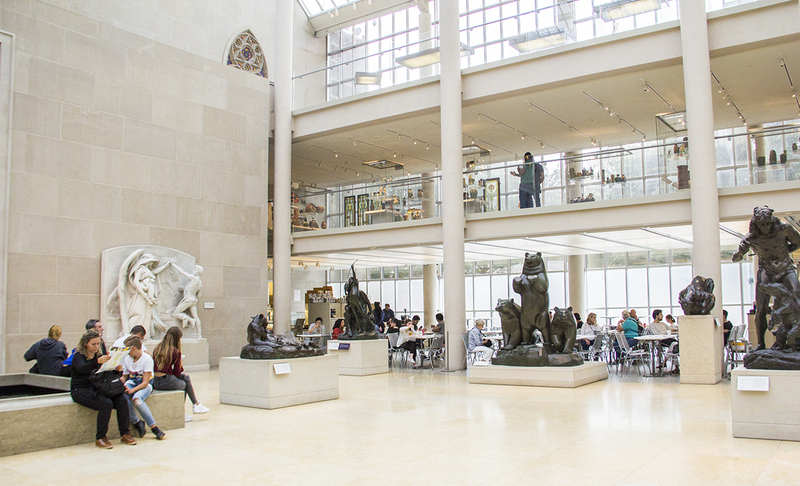 New York’s signature museum holds some of the greatest works of art the world has ever known. And this one, too. Let me set the scene for you. You’ve just spent the last hour or so wandering through the Metropolitan Museum of Art’s exhaustive, exhausting collection of ancient Egyptian maybe-detritus, possibly stolen cultural heritage. Stifling yet another yawn, you push through one last hallway and suddenly you emerge, blinking, into a sun-drenched terrarium of exquisite American sculpture. In the distance, haloed by the brilliant white light, is the café. The only thing standing between you and all the caffeine you need to enjoy the rest of civilization’s treasures are…some bears? 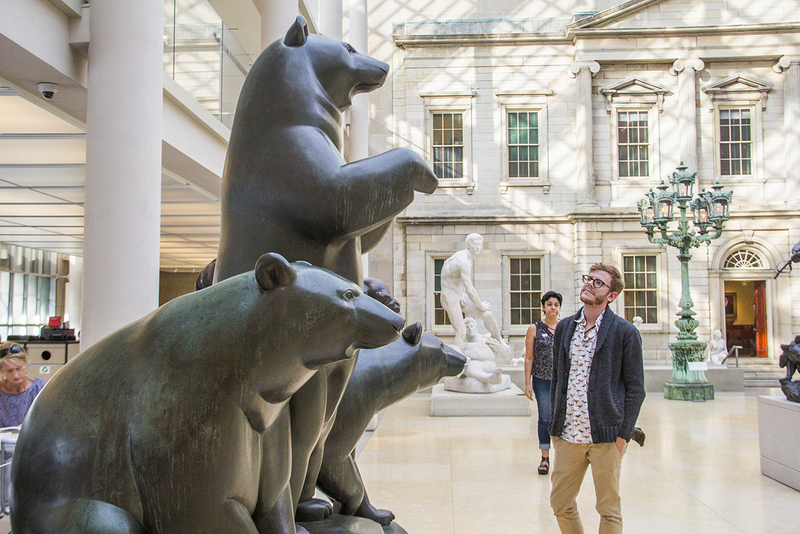 I first saw Paul Manship’s Group of Bears (1932) in 2014, on the state-mandated day trip to the Met every family vacation to New York requires. I saw a lot on that first visit, but the bears stayed with me. Manship’s sculpture baffled me then, and it baffles me now. It doesn’t so much draw attention because of its artistry or craftsmanship, but from its sheer refusal to fit in with the other works it shares space with. On one side of the gallery stands Nydia, the Blind Flower Girl of Pompeii (1859), a study of a young woman escaping the historic volcano, her posture suggesting both fear and determination, every fold and crease of her clothing produced in minute detail. 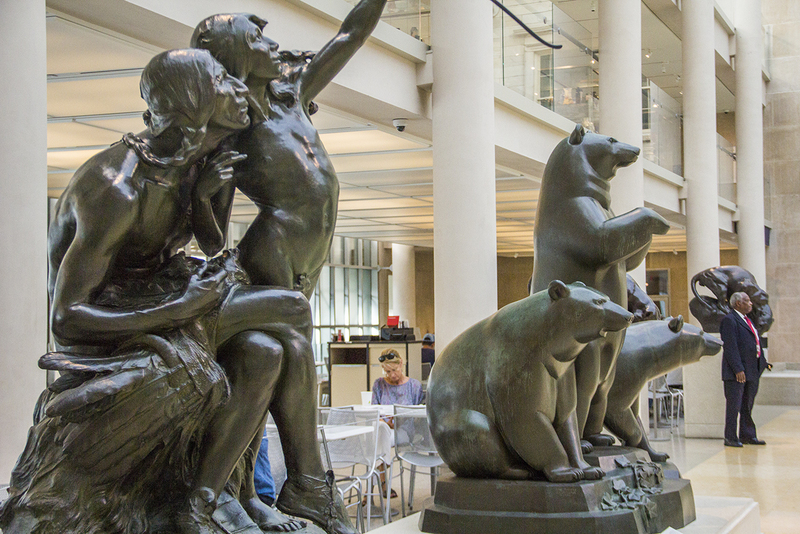 And over there we have Panther and Cubs (1878), with scores of tiny grooves and hills in the bronze replicating the loose skin of the cub’s ruff, tugged by its mother’s tongue. And here? Oh, we’ve just got some bears. One of them is standing on its hind paws; isn’t that neat? I’m pretty sure this piece baffles the Met’s curators just as much as it does me. All this said, I actually sort of adore Mr. Manship’s sculpture. The bears are relentlessly charming, somehow inviting both the urge to clamber over and around them, as well as to scratch them behind their perky little ears. 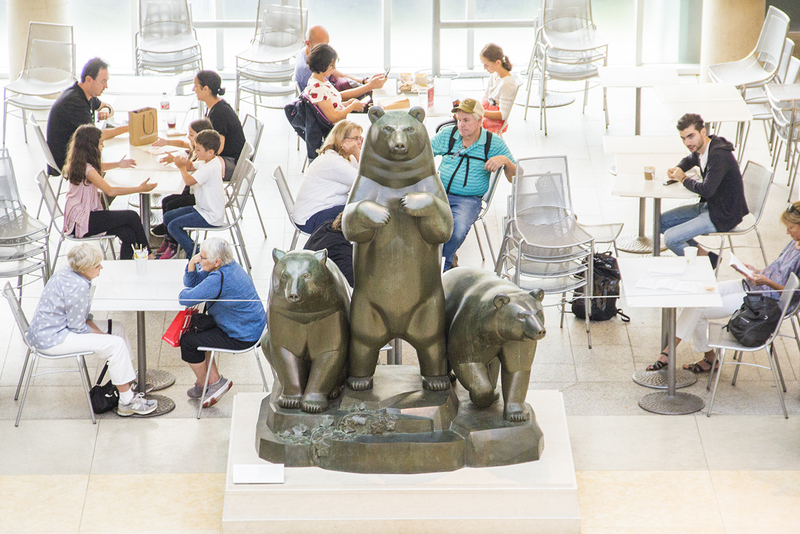 Their confident simplicity; the way they loom over the viewer; and their satisfied, victorious poses all make Group of Bears look like a Soviet monument representing the forces of bearkind standing triumphant over this outpost of human culture. But to be honest, all this feels a bit like grasping at straws. I don’t really believe that this sculpture is some sort of punk-rock middle finger to the intellectual establishment that decided to display it in the first place. The truth is, I don’t have the words to describe exactly what it is about Group of Bears that makes me smile. And, if I may drop the irony mask for a second here, I think that’s OK. All I can say for sure is that every time I visit the museum, I make sure to detour through the American Wing and see how the old guys are doing. Will Drickey is on Twitter. When he’s not staring, blank-eyed, slack-jawed, at his phone, he contributes journalism to AListDaily and criticism to the Red Hook Star-Revue.